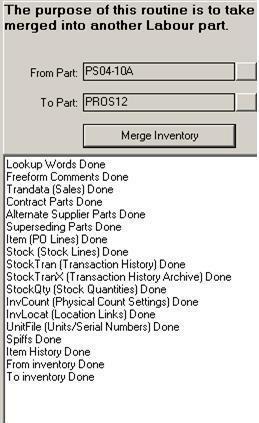 The routine in the toolbox is capable of merging 2 inventory items at a time. Below is the suggested procedure. 1. 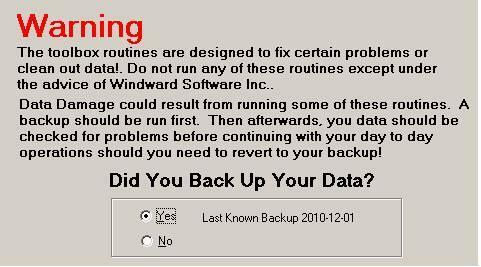 It is advisable to do a backup with your Live Data before running this routine or you can use your training data to test it first. 5. 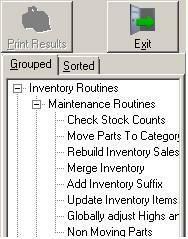 Go to Grouped tab→Inventory Routines→Maintenance→Merge Inventory as shown below. NOTE: System Five is not capable to merge multiple part numbers, its only 2 at a time.